A wonderful surprise at the end of the year: three Pjusk collaborations. 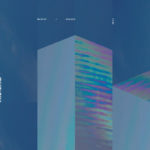 Loscil, Porya Hatami, and SHAO add their musical perspectives, and the distinctive sound of Pjusk remains present in each track. Brilliant stuff. Fifteen minutes of warm, spacious, crackly, resonant, luxuriant sound. 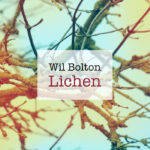 My favorite of Wil Bolton’s several releases this year. 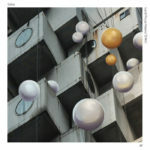 Check out his Maemi EP and the full-length February Dawn as well. 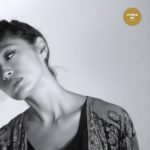 My list had its share of gentleness this year, but for moments when something more hard-edged fit the bill, this short collection of rumbling minimalist techno in the classic raster-noton vein was an excellent stand-by. By turns darkly brooding and gently melancholy, this turbulent-electronics-meets-Satie release stuck with me even after the full-length album that followed it. Finally, something more relaxing. 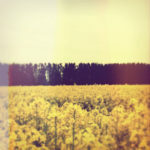 A series of very short pieces of effects-laden guitar offer a summery interlude, warm and pretty.